Also, Davao International Airport (DIA) landed number 26 when the travel website released passengers’ reviews of the best and worst airports. 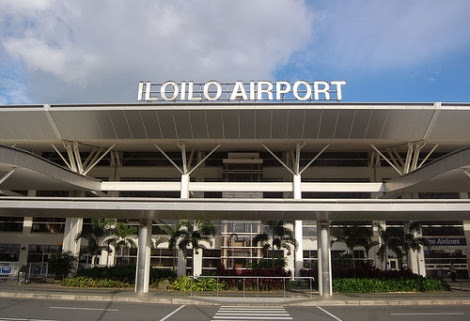 The IIA and DIA were among the 81 airports with 36 operating commercial flights all over the country managed by the Civil Aviation Authority of the Philippines (CAAP). The travel website also came up with the results of other Asian airports such as Hyderabad Rajiv Gandhi in India, (13), Suvarnabhumi Airport in Bangkok, Thailand, (17), Jakarta’s Soekarno-Hatta International Airport (20), Nagoya Chubu Centrair International Airport in Japan (25) and Kaohsiung International Airport in Taiwan (29). The survey rates airports in Asia based on passengers’ overall airport experience in terms of comfort (rest zones and gate seating), services, facilities and things to do, food options, immigration/security, customer service and cleanliness. The Top 10 Best Airports in Asia 2016 as voted by travelers are (1) Changi International Airport in Singapore, (2) Seoul in Incheon, South Korea, (3) Haneda Airport, Tokyo, (4) Taipei’s Taoyuan, (5) Kansai airport in Osaka, (6) Hong Kong’s Chek Lap Kok, (7) Kuala Lumpur, (8) Narita International Airport in Tokyo, (9) Mumbai, India and (10) Nanjing Lukou in China. Respondents were asked in which airports they like and do not like to spend their time because of delays and transits and/or sleep in overnight if they are stranded by flight cancelations or just traveling on a low budget.